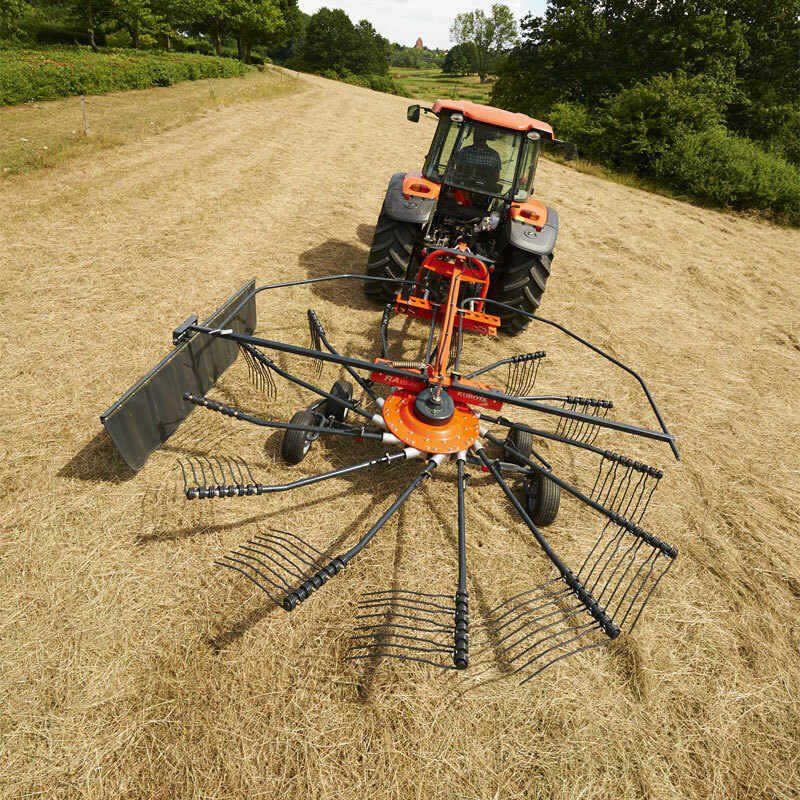 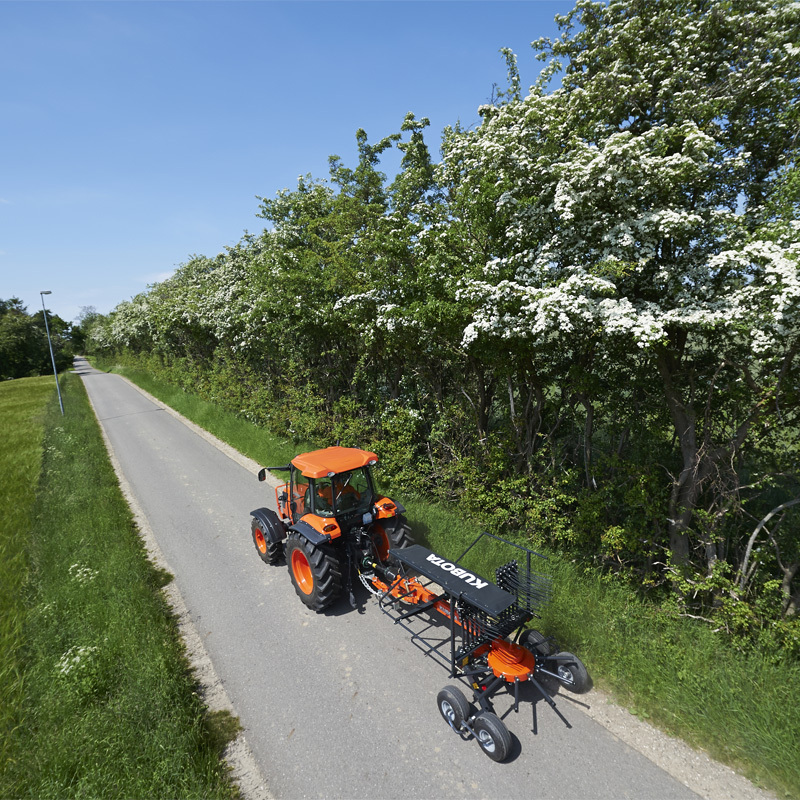 ProLine single rotor rakes with 4.2 and 4.6m working width. 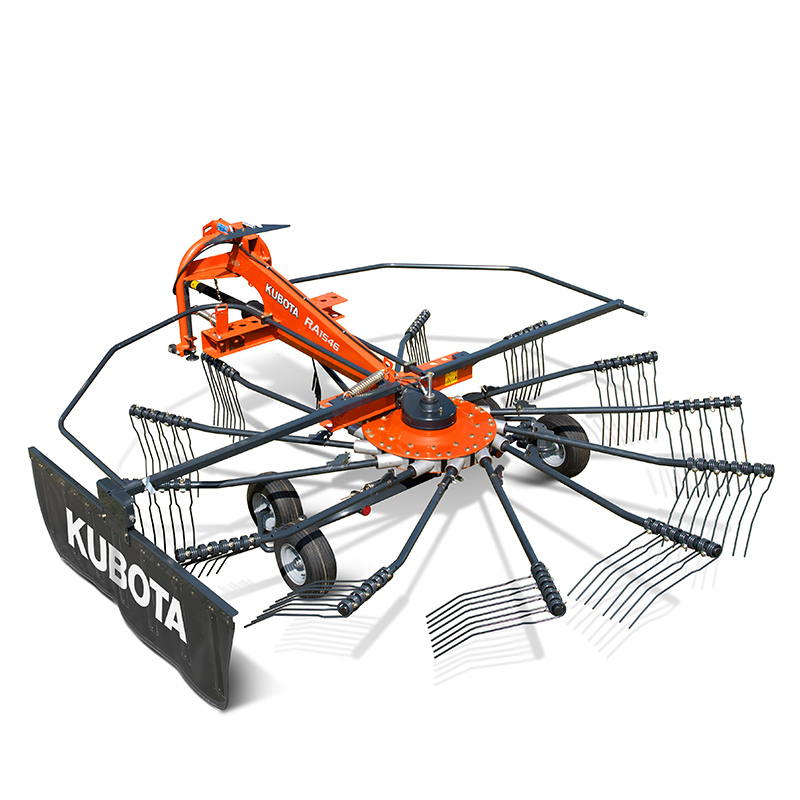 These Kubota single rotor rakes are based on the ProLine gearbox technology. 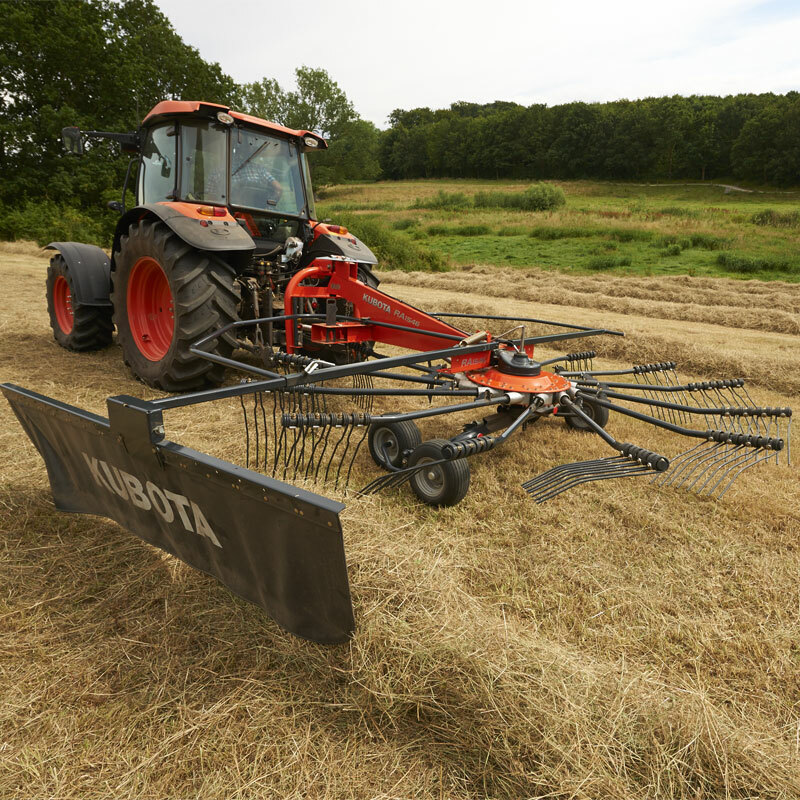 They offer working widths of 4.20m and 4.60m respectively and are fitted with the Kubota ProLine gearbox, with its maintenance free oil bath solution. 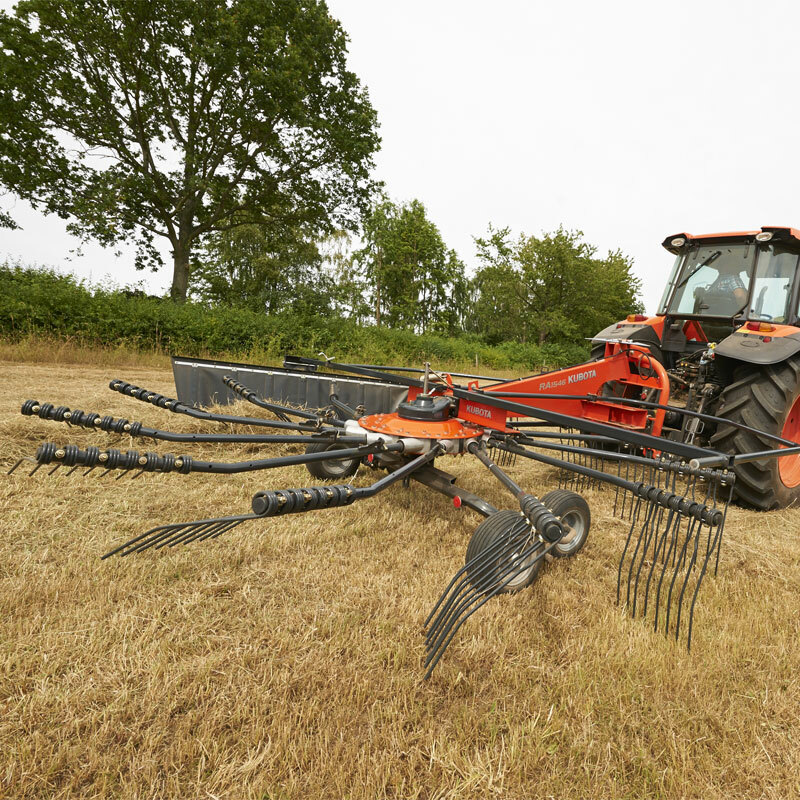 Features such as oscillation dampers, tandem axles and HydroLift height adjustment are hallmarks of these single rotor rakes.